Review for Kiss Ever Ez False Lashes! There are a variety of false eyelashes on the market. Kiss Ever Ez Lashes is one of my favorite from my local drugstore besides Ardell Natural Lashes. Kiss false lashes have different sizes, to have fuller thicker lashes or to short thin lashes. It also includes inside a plastic Applicator and a 16-hr Strip Eyelash Adhesive (clear lash Glue). These lashes are also reusable. I have chosen to review the long and thick lashes since my lashes aren’t so long and thick as I want them to be. The lashes price range is range from $3.49-$3.99, even though these lashes are light, the only problem I have with them is the small 16hr Strip Eyelash Adhesive. When I tried to open it, it was difficult to pull the cap off. When I did open it, the brush would slip and it’s glue would get on my fingers. When I tried to close it, it wasn’t easy to pop it back in. These lashes are very soft and look a lot like real hair lashes. A lot of other lashes I have tried have that fake plastic look to them but I can guarantee that this has nothing of that sort. 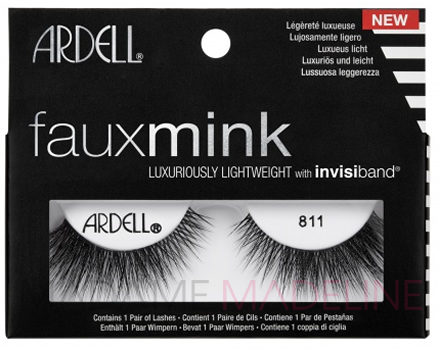 The eyelash band is also very thin and natural looking, it blends into my lids very easily without any problem. While applying them the glue dries on very quickly, so once you put them on make sure you want them in that position. The glue is great though, it last for a very long time. I usually don’t wear false eye lashes, so I feel sort of uncomfortable wearing these long thick lashes on my natural eyelashes. I would rather choose smaller thin lashes next time. Other than that, they look great, on anyone really. They are easy to remove. Simply peel them off from the edge with your fingers with a little tug. When I did take them off it felt like a weight was lifted from eye lids. REMEMBER to always trim the lash band to fit your eyes if necessary. This can help lift the weight off, I do believe it’s because of the size of the lashes. I used size 01 from Kiss. To remove the excess adhesive from the lash band and eyelid, just use an oil based makeup remove, after that just place them back into the lash tray to use in the future. Overall, for the price, I think this is an excellent product and is a must try. Not too dramatic, gives just perfect look. Suitable for contact lens users. Lasts a long time, can get many uses out of it. Thin lash band, gives a natural look. Too long to be “natural” looking (as they claim). Super sensitive, hair falls off. Would I Recommend Kiss Ever EZ False Lashes? Yes, I definitely recommend this. 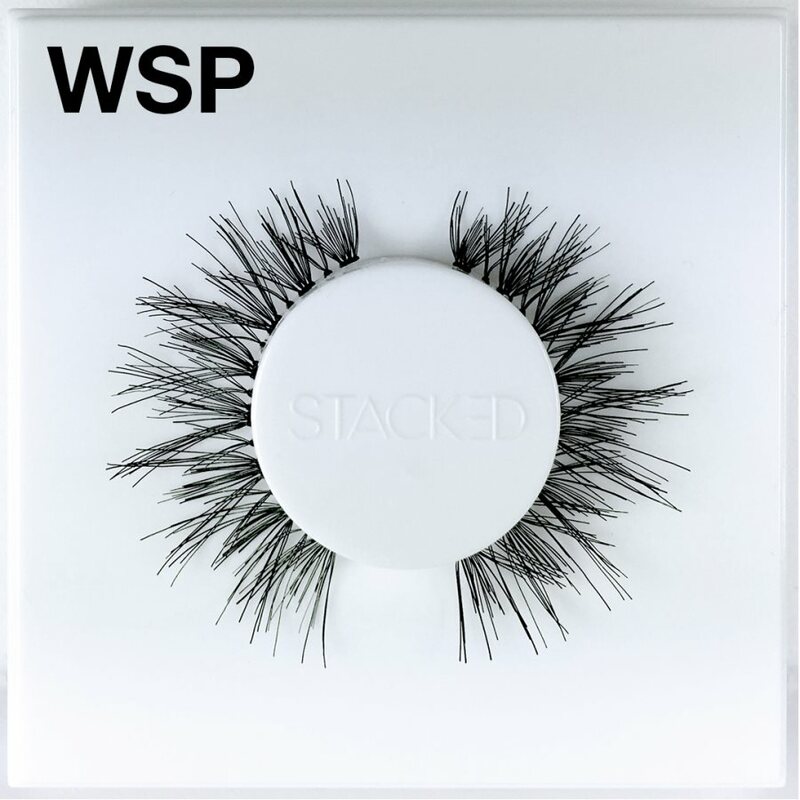 For this price, these lashes are a huge bargain. Where to buy Kiss Ever EZ False Lashes? few wears out of these lashes. Kiss strip lashes seem to be a little longer lash band than some other brands, I had to trim them down a bit alone the corners before application. Style 01 has instantly become m daily favorite for every day natural wear by adding moderate volume. They are dense, but not unnaturally so.